Nothing compares to listening to your favorite music on a high quality sound system. 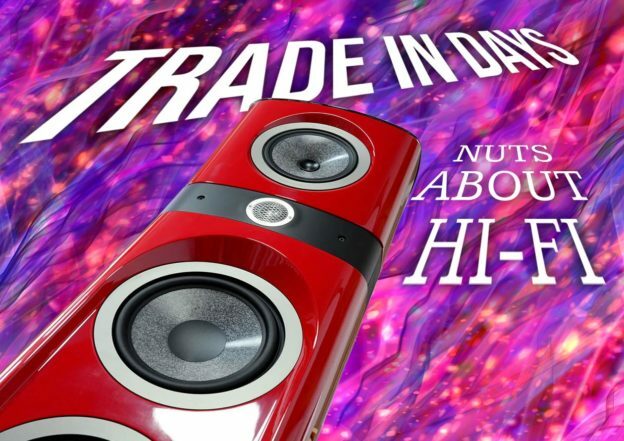 For over 30 years, Nuts About Hi-Fi has provided music lovers with the finest home audio and theater systems available. Please visit our locally owned showroom and discover what is possible when art, passion and technology come together. You will feel as if you are hearing your recordings for the very first time. We offer some of the best audio-video equipment in the world, and provide a variety of services, from design, demonstration, installation, system integration and also restoration and repair of quality components you may already own. Please visit our services page for more details. This is a great opportunity to upgrade your system. Simply bring to our showroom the components you wish to upgrade. Or contact Matt or myself to chat about the possibilities – (360) 698-1348. During this promotion we will also be offering some terrific deals on most of our showroom display demo equipment. This entry was posted in Specials on February 13, 2019 by Jim Lee. 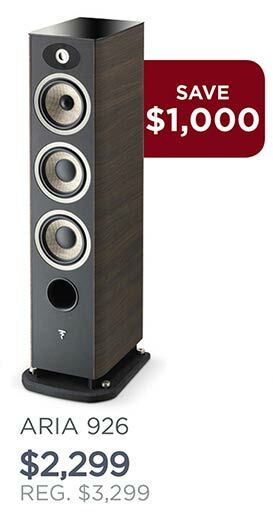 Focal is offering an inventory reduction on the Aria Series loudspeakers. They have an overstock of their dark walnut finish. These are some of our most popular speakers. 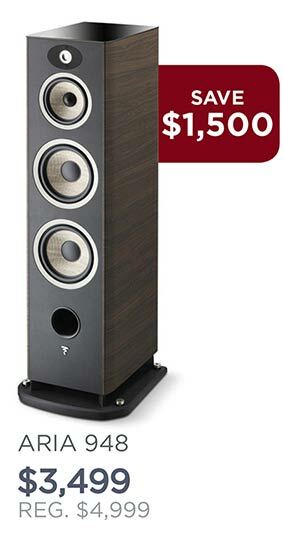 If you haven’t already had a chance to hear them, stop in for a demonstration. This promotion runs from now until we’re sold out! This entry was posted in Specials on November 1, 2018 by Jim Lee. This hand built, Canadian preamp/home theater processor is our favorite choice for both Music and Movie lovers. The patented ARC technology allows us to make the most out of any speaker system in any acoustic space. 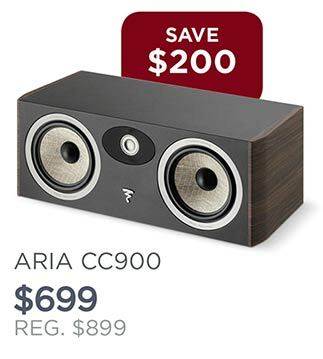 We feel it is an exceptional value at $3000.00 and now when you buy the ANTHEM AVM 60, take 10% off of any matching Anthem Amplifier. This entry was posted in Specials on October 26, 2018 by Jim Lee. This has definitely been one of my all time favorite projects. 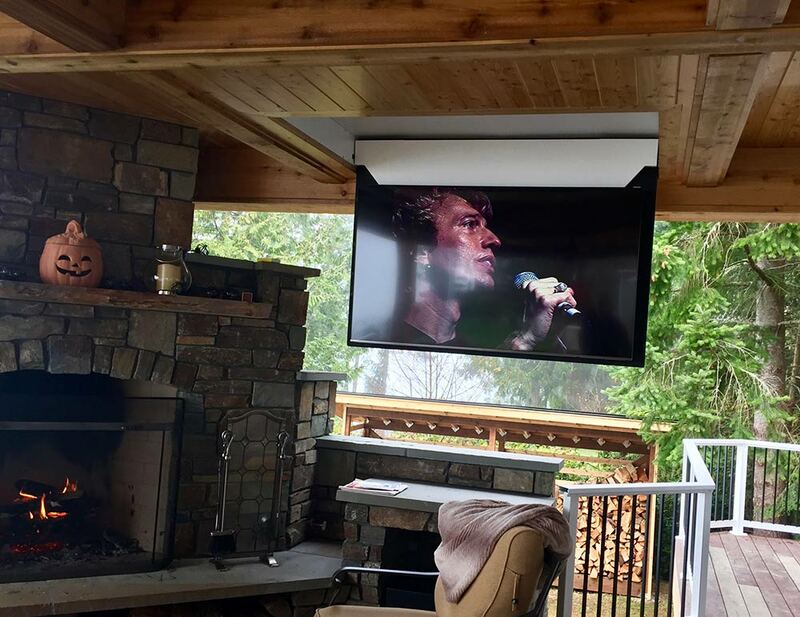 My good friends and clients decided to add to their beautiful home some outdoor entertainment. 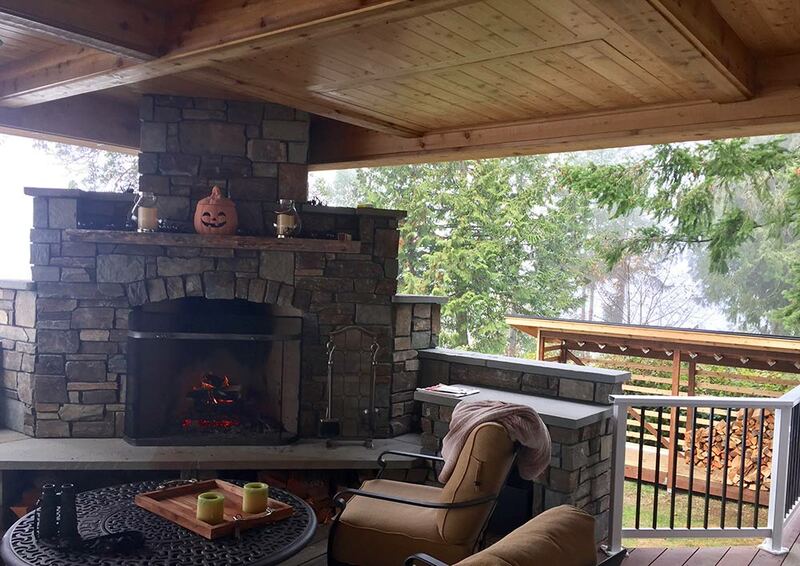 It was a bit of a challenge as we didn’t want the screen and speaker system to distract from their beautiful view or their custom build fireplace. So we brainstormed and came up with the idea to install a motorized swing hinge for a 65″ Samsung flat screen TV. We also installed 5 of the new Focal in-ceiling IC IW-300 8 speakers. For the Bass, we used an Episode outdoor subwoofer and hid it inside the firebox. 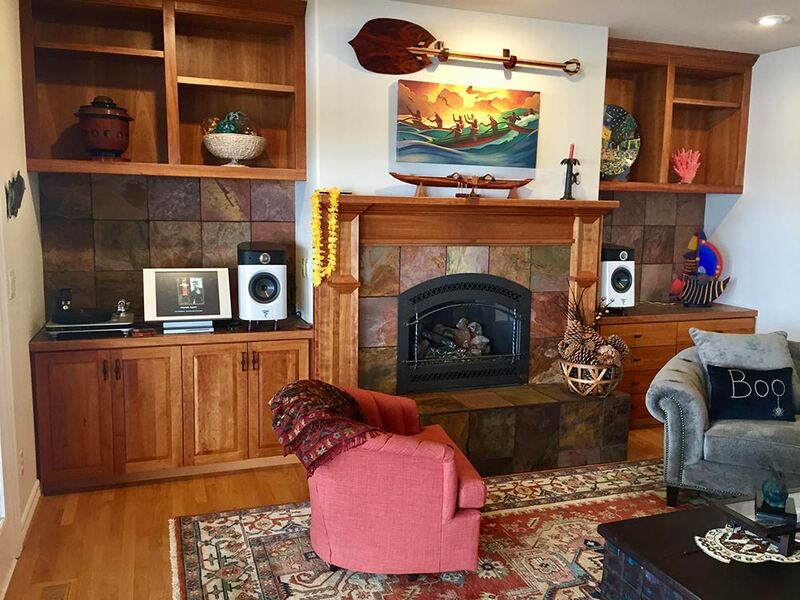 All the other electronics are housed in the adjacent living room entertainment cabinet. We used Marantz’s New SR 7013 along with Kaleidescape’s Strato ULTRA HD movie and concert digital library system. To automate the system we installed URC’s new MX-990 universal remote. 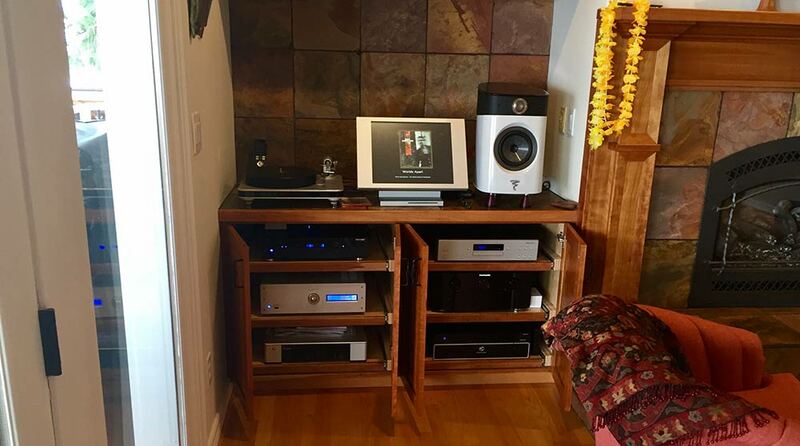 This system sounds so good and certainly has that “James Bond” affect when you see the TV magically come out of the ceiling. Thanks to you two again for allowing us to work with you all these years. It just keeps getting better. This entry was posted in Installations on October 22, 2018 by Jim Lee.